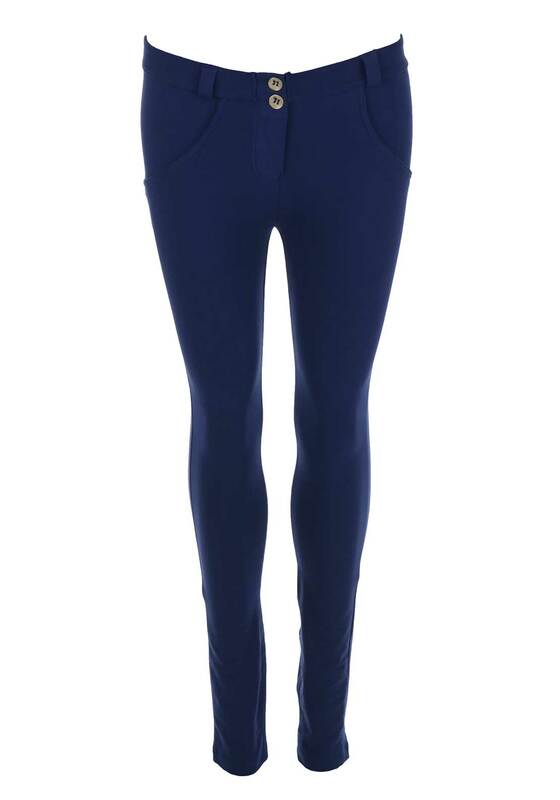 PLEASE NOTE THESE TROUSERS HAVE A SMALL FIT AND WE WOULD ADVISE THAT IF YOU ARE BETWEEN SIZES TO TAKE THE NEXT SIZE UP TO ENSURE THE CORRECT FIT. 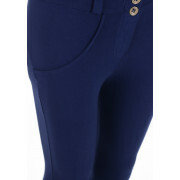 Freddy present these stylish mid waist 7/8 trousers in beautiful blue. WR.UP® technology to enhance your shape, assisting your natural curves and lifting your bum. In their comfortable stretch fabric, they won’t lose their elasticity and will fit perfectly with their silicone inserts on the waist for a stay put fit. 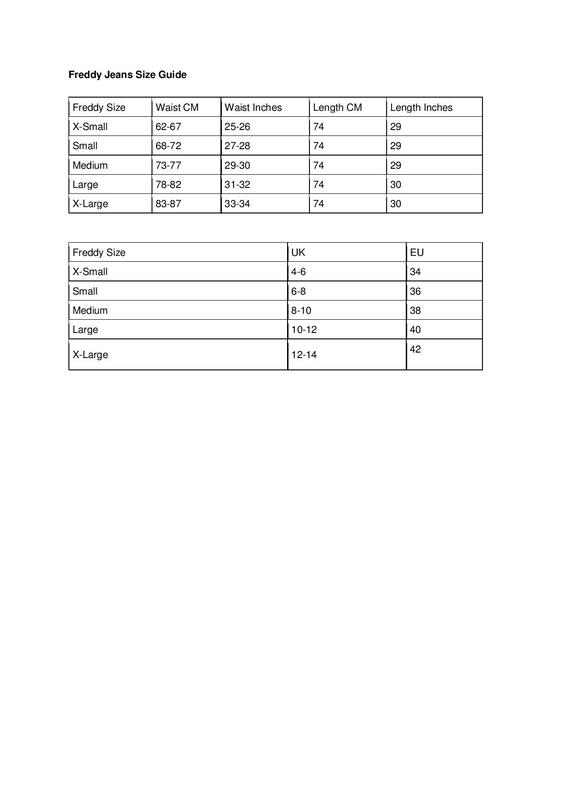 It is important to buy the correct size to accentuate your figure and they must be treated like jeans and not leggings by undoing buttons and zips when taking them on and off with care. Finished with classic branding on the rear, belt loops and a zip and double button fastening.